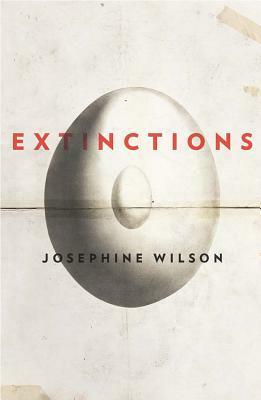 Extinctions, by Josephine Wilson, won the 2015 Dorothy Hewett Award for an Unpublished Manuscript, and I am not surprised: it is an utterly absorbing novel that I was sorry to finish. Do not let this book slip under your radar just because you’re busy with the Silly Season! He tried not to dwell upon the unease he felt as he set the bottom chair on top and shook out the plastic tarp he used to protect them. But Martha is obviously no doormat. She was a decisive woman who clearly just gave up on trying to break through Fred’s barriers and went her own way about things. Describing their marriage as a delicate imbalance of power, she dealt with the practical and emotional fallout of issues that arose, and one of the strengths of this novel is the way in which the author structures Fred’s reassessment of where that marital power lay. A chance event introduces Fred to his neighbour, Jan, a woman he has studiously avoided because (a) she keeps budgies in cages and he despises her for that, and (b) without ever having spoken to her he has constructed a persona for her that conforms to all his prejudices about women. I couldn’t help thinking of the old maxim, the way to a man’s heart is through his stomach, when Fred overcomes his reservations and accepts Jan’s invitation to join him for a home-baked pie. But Jan isn’t looking to entrap a new bloke, she’s a very independent woman, and she’s just interested in company. And while ordinary hunger made Fred risk the noise of the budgies, what he finds to his astonishment is that Jan’s forthright way of confronting his silences makes him articulate issues he has suppressed for decades. Is Fred capable of redemption? You have to read the book to find out. One of the delightful things about this book is the images that are sprinkled among the pages: bridges with soaring arches, the Wassily chair with its tubular construction. Fred can’t look at a Zimmer frame without pondering the structural forces in its design but there is no need to Google Shukhov’s Tower, you can see it right there in the book. More poignant are the images of extinct creatures: Caroline in London is preparing an exhibition about extinction and the egg we see on the front cover is part of her quest for a loan exhibit, but there are also quaint images reminding us of the loss of the quagga, the American bison and the auk. I really liked this book, but don’t take my word for it, you can read an extract at the UWAP website. Review copy courtesy of UWAP. Available from Fishpond: Extinctions or direct from UWAP. Now I have to see if I can find this. Maybe Santa will get you one? It’s all up to me.. it’s released here at the end of the month. Now I just had to get a copy of this from the library given your opening paragraph! The library has ordered a copy so I hope I am first in line so I can enjoy it over Christmas. Excellent! *sulk* My library doesn’t let me reserve books that they’ve ordered, only favourite them so hopefully I don’t forget them. Well, my library doesn’t tell me where I am in the list so I have no idea how long the wait is. It makes it a bit hard to manage – I can wait for books for 3 months and then get 5 in a week. I can relate to that, I’ve got five at the moment and no time to read them! Pop it in your Goodreads wishlist? Oh Lisa good idea but I never use that … wish lists, which I have tried, just become another list that I never get to! I have so many books here (as I know you do too, but I just feel continually overwhelmed without adding to them virtually!) You are made of stronger stuff than I when it comes to getting through your books – or I am just torn in too many directions – so I just muddle through catching as catch can! I enjoyed the extract, it is very well written. I hope I’m not on such a well signposted pathway to extinction – Independent/Supported Living/High Care – in four years time when I’m Frederick’s age. Ha ha, me too. I’m not going in any retirement village, they’re going to carry me out of my place in a box and I don’t care if the weeds are ten miles high and the place is festooned with cobwebs!